Continuously increasing amount of malware and other kinds of security threats could affect devices, so having an anti-virus solution installed on a device is need in these days. An award-winning ESET anti-virus technology – ESET anti-virus security is now available for mobile with ESET Mobile Security. 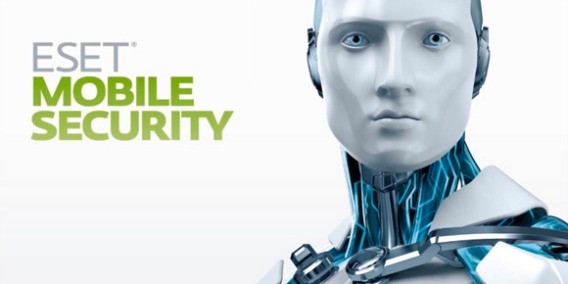 The new ESET Mobile Security 3.0 was redesigned specially for Android operating system platform that provide protection against malicious applications, Malware, viruses, loss of device or physical theft. ESET Mobile Security for Android features Antivirus, SMS/Call Filter, Anti-Theft, Built-in USSD Control and Security Audit, Anti-Phishing, Startup Wizard, and Nano (incremental) updates by uses the ESET antivirus engine and new technologies. Besides that, the security application also brings new UI feature and provide real-time protection against known and emerging mobile security threats. ESET’s Anti-Theft System – Uses multiple layers of security for remote control over phone-stored data. Remote Lock – Allows you to lock access to your phone remotely from a computer to prevent unauthorized access to the mobile phone’s data. Device Location – Locate a lost or stolen phone on Google Maps and use this information to assist police in recovering your phone. Remote Wipe – Wipes all information and restores the phone to factory settings. You may not get your phone back but at least they won’t have your data. Trusted Friend – You can have a friend or family member remotely reset your password if you need to. They also will be alerted if a different SIM card is inserted into your phone. Very cool. Phone Monitoring – Watches all the mobile devices critical functions like running processes, battery life, free space, Bluetooth and device visibility. System Protection – All system settings and covert un-installation of the ESET Mobile Security Solution can be password protected. SIM Matching – By creating a list of trusted SIM cards for the phone, you can be notified if a SIM card that is not on the list is inserted into your phone. Sorry MacGyver, but we’re all about security around here. Minimum memory requirements, uses low CPU resources. You can pre-set the times when updates are downloaded to daily, weekly or monthly. Secures personal information by monitoring all inbound and outbound communications to help prevent hackers from taking your critical personal data. Stop SPAM by customizing you approved and not approved lists of numbers, so that you can block unwanted text and multimedia files from numbers that do not know. Proactive Protection threats – even across WI-FI, Bluetooth, GPRS, Edge and Infrared communication channels. Call Blocking – to block unwanted inbound or outbound calls. As part of promotional offer, everyone can get ESET Mobile Security 3.0 full version license for free which normally costs $20. Interest users who intend to grab ESET Mobile Security 3.0, just follow the step below. You will receive an email from “ESET NOD 32” which containing activation license key and download link for ESET Mobile Security apk. Once complete download and install ESET Mobile Security apk to mobile device, launch the app and head to License section. Tap the Menu icon in the ESET Mobile Security main screen and click License. Now select the option “Activate Application Using your Activation Key”, and then key in the license key that received, and click “activate” button. Once activation completed, you will receive another email form “[email protected]” with contains information regarding license validity, Eset account’s Username and Password.